Regus is the world’s largest provider of flexible workspace solutions, with almost 3000 business centres, across 900 cities in 120 countries. They offer a number of flexible office formats and business support services for owner operated business through to PLCs. Their proposition includes virtual offices, workplace recovery businesses and mobile working solutions by enabling people and businesses to work where they want, when they want, how they want, and at a range of price points to suit. As part of their brand building and lead generation activity, Regus looked to exploit retail channels as a tactical method of reaching new audiences. This activity had to be as global as the Regus business itself, and to reflect their largest markets. So virtual products and services were turned into physical, boxed products in order to maximise these retail channels. 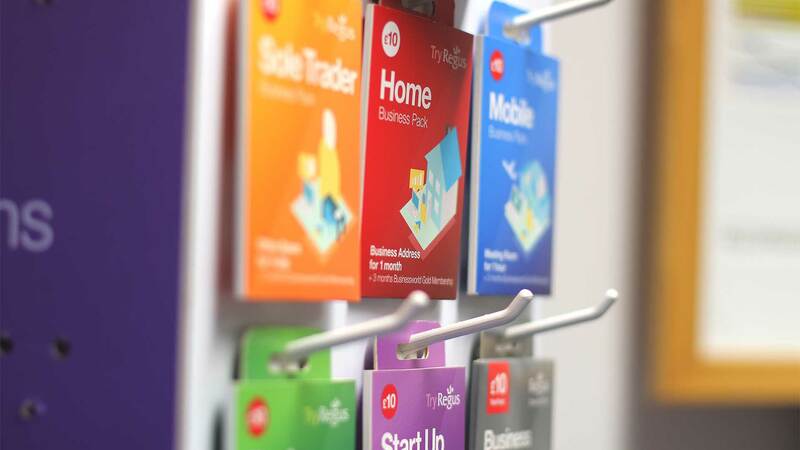 Livewire worked with Regus to develop bespoke, cost-effective and hard-working packaging that would bring their virtual business services and products to life. To complement this, a range of eye-catching POS would be required. And all this had to work harder than most retail propositions in store as the Regus retail offer is somewhat unusual and not normally associated with retail outlets. The solution would also need to be scalable and be easily replicated anywhere in the world where Regus have a presence. Livewire works with some of the world’s largest and most successful packaging printers to develop hard-working solutions that really do work. 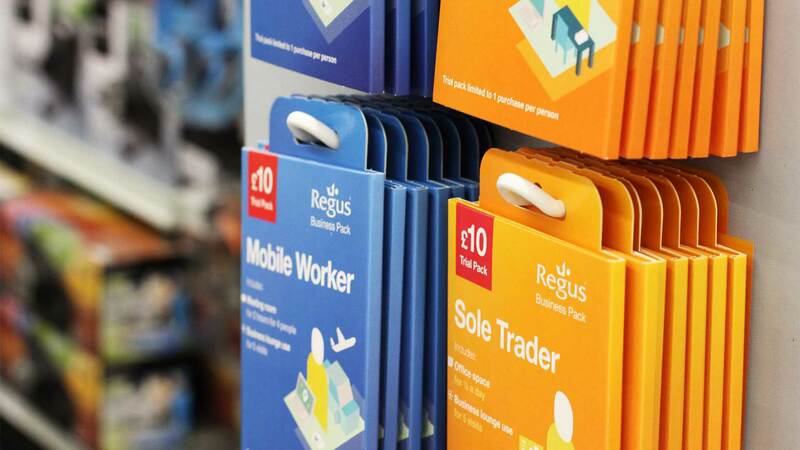 In this instance, we developed a bespoke retail packaging solution for Regus that worked globally, supported by a range of modular POS options which created a family of solutions. Livewire set up a global supply chain to ensure consistency in production and logistics. The supply chain set up would ensure items would be produced locally for most major countries, in order to support Regus and their local retailer’s requirements. Livewire successfully produced packaging and POS for a simultaneous trial product launch in 108 UK Staples stores and 847 USA OfficeMax stores, managing print production, fulfilment and distribution to regional distribution centres. Livewire also set up regional production hubs in all major countries where Regus have retail plans.